The 2019 Ford Everest (2019 Ford Endeavour) has been officially revealed ahead of its international launch later this year. The mid-cycle refresh has brought a number of mechanical changes, safety enhancements and new convenience features to the mid-size SUV. The Ford Everest has gained passive keyless entry, engine start-stop button and hands-free power tailgate with the mid-cycle refresh. 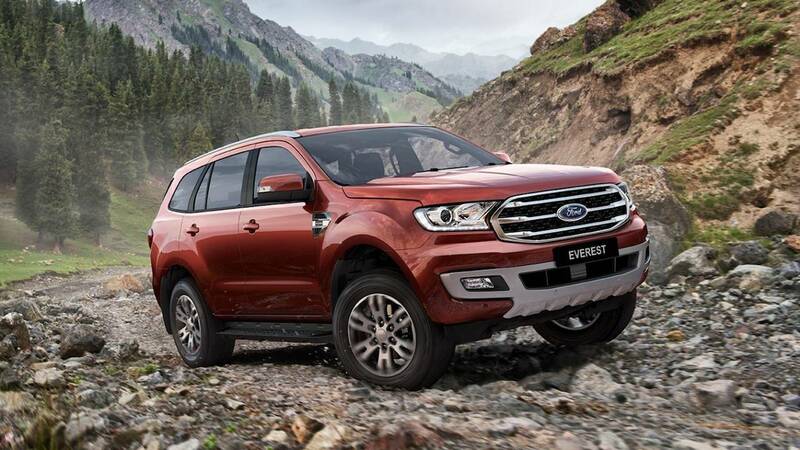 The 2019 Ford Everest features a slightly revised front-end with subtle changes to the upper grille and lower grille. The upper grille now has three individually placed horizontal chrome louvers that give a sleeker look. The skid plate that merges with the fog lamp housing is also new, and it forms a frame for the lower air intake now, giving a more complete look to the lower front fascia. On the sides, the 2018 Ford Everest has new 20-inch split-spoke alloy wheels. Ford is yet to show the interior, but it has revealed that changes include new colours and materials and soft-touch surfaces “in contact points around the cabin”. 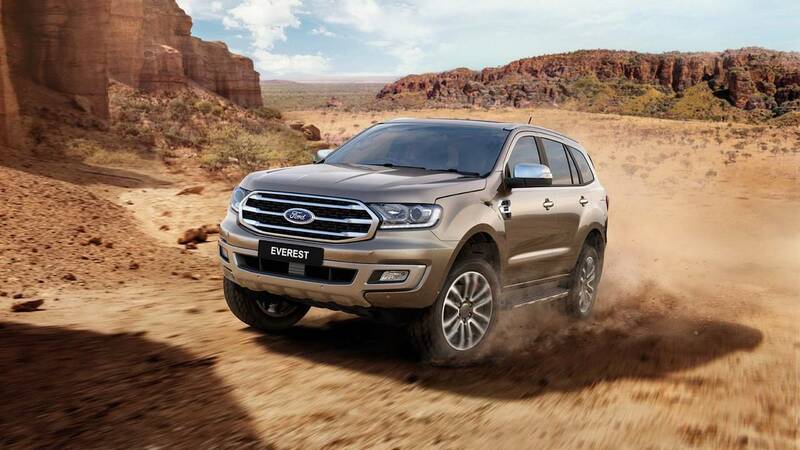 The Ford Everest is available with two diesel engines currently: 2.2L TDCi and 3.2L TDCi. With the mid-cycle refresh, Ford has introduced the Ford Raptor Ranger's 2.0L Bi-Turbo TDCi diesel engine that produces 157 kW (213 PS) and 500 Nm of torque. This twin-turbo mill is coupled to a 10-speed automatic transmission. Ford says that the new engine is markedly quieter than the 3.2L diesel engine. The company has revised the SUV’s suspension geometry, thus improving the ride and handling quality. A new 2.0-litre TDCi diesel engine will likely join the list of engine options later this year. The Ford Everest now features passive keyless entry and push-button start, offering customers quicker engine starts and more convenience. The mid-size SUV has gained hands-free power tailgate as well for more convenience. Safety has improved, thanks to the addition of Pre-Collision Assist system that uses Autonomous Emergency Braking with Pedestrian Detection and Vehicle Detection. The Ford Ranger Raptor's 2.0L Bi-Turbo TDCi diesel engine has made it to the Ford Everest. The 2019 Ford Everest will go on sale internationally in the second half of this year. A report earlier this month said that in India, the 2019 Ford Endeavour’s launch will take place in early 2019.